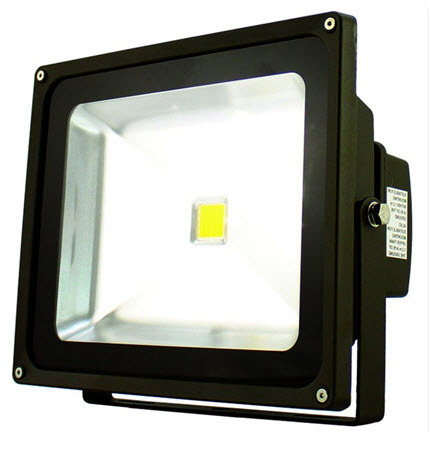 LED 12-volt flood light fixture with a choice of watts for general site lighting, alleys, loading docks, doorways, pathway, and parking areas. Its size is perfect for all types of accents and highlighting, unobtrusive, yet powerful. It has a long life of 70,000 hours and will need little maintenance over the many years of service it will provide. It can replace higher wattage light sources because of it's high powered LED array saving you money a generating a great payback on the initial investment. 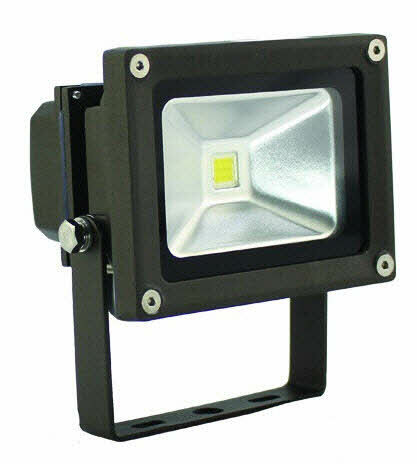 If you ever wanted in LED flood light with a low voltage rating in what looks like a more standard type of flood light, then this might be a good solution for you. And because it's 12 volts you can safely use this in many types of applications around the home for landscape lighting but also for other types of specialty lighting in commercial buildings or retail. It can be pointed in any direction and get you the light you need with only 10 watt which is equivalent to about 100-watt incandescent. Its low price will also make it attractive for people who are trying to set up a complete system for landscaping. - Bronze polyester powder coat finish. - Door frame with four stainless steel retention screws. 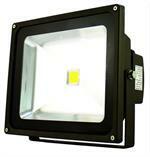 - Replace existing HID flood lights.